If you notice any of these signs, you need professional basement waterproofing solutions. Excess water makes the problem worse over time, eventually causing your home’s structure to collapse or lean to one side due to hydrostatic pressure. Fixing these structural issues could cost you time and money in the long run. Let us be your go-to company so you can avoid spending thousands on major foundation repairs. For leaky basements, contact Reliable Waterproofing and Masonry today. 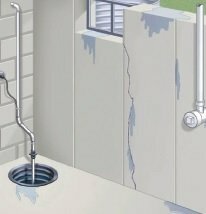 We are the waterproofing experts in Richmond, VA.
Leaky basements can quickly be repaired with professional basement waterproofing techniques. Our experts offer interior and exterior drainage systems so your home doesn’t have to suffer from water damage. Both systems are designed to give your home extra protection by diverting water away from the foundation. A perforated drain pipe is installed inside the perimeter of the footing. We remove and replace the concrete that is around the slab edge. A drain pipe is installed underneath the slab. This drains the area to a lower area. The drainage pipe is attached to a sump pump system to help discharge water away from the foundation. If you have a leaky basement, give Reliable Waterproofing and Masonry a call. We service the residents in Richmond, VA with quality service. No job is too small or large for us to handle. We’ll find the source of your leaky basement and provide the best waterproofing solution. 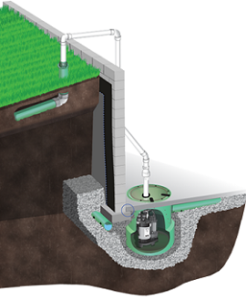 We have the solutions you need for basement waterproofing in Virginia. Call us today for an estimate.